Lately I’ve been experimenting with different varieties of hummus. A lot of vegans, myself included, keep this Middle Eastern dish on regular rotation due to it’s nourishing properties and almost effortless prep. I like to make a batch on Sunday for example, to have around throughout the week or pack as a healthy work lunch. To keep it from getting old, however, it’s nice to change things up a bit by playing with different flavors. 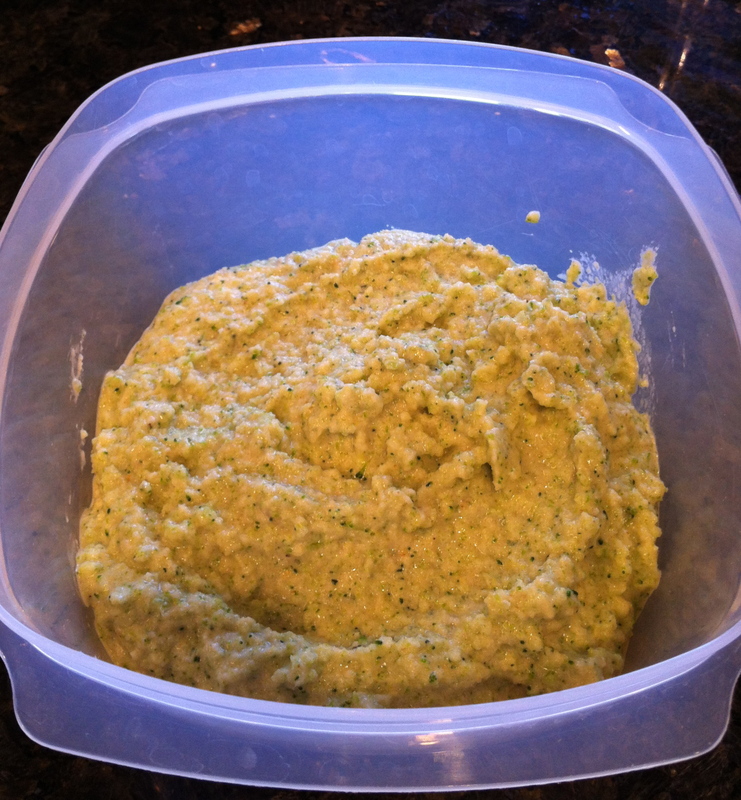 So when I first heard about broccoli hummus, I got SUPER excited, as broccoli is one of my favorite vegetables. 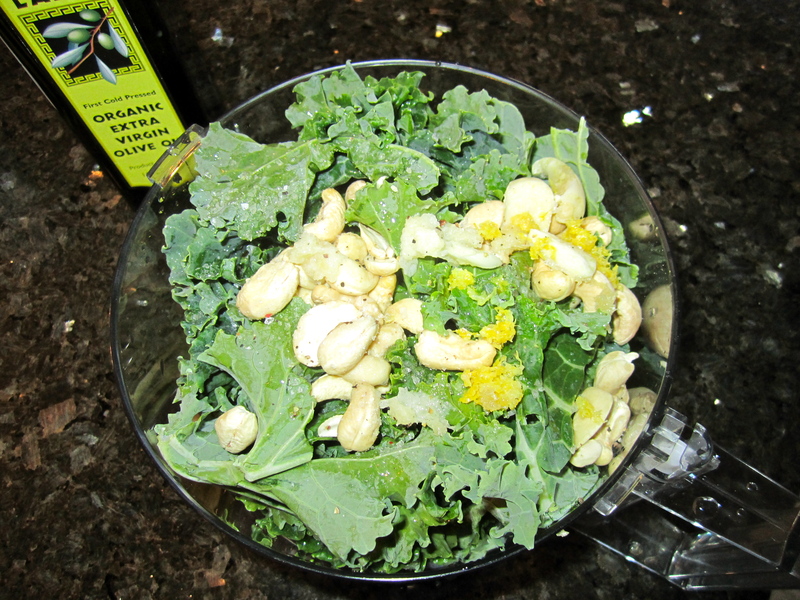 I’ve tried a few different recipes, and believe it or not my fave happens to be bean free. That’s right, a chickpea-free hummus. 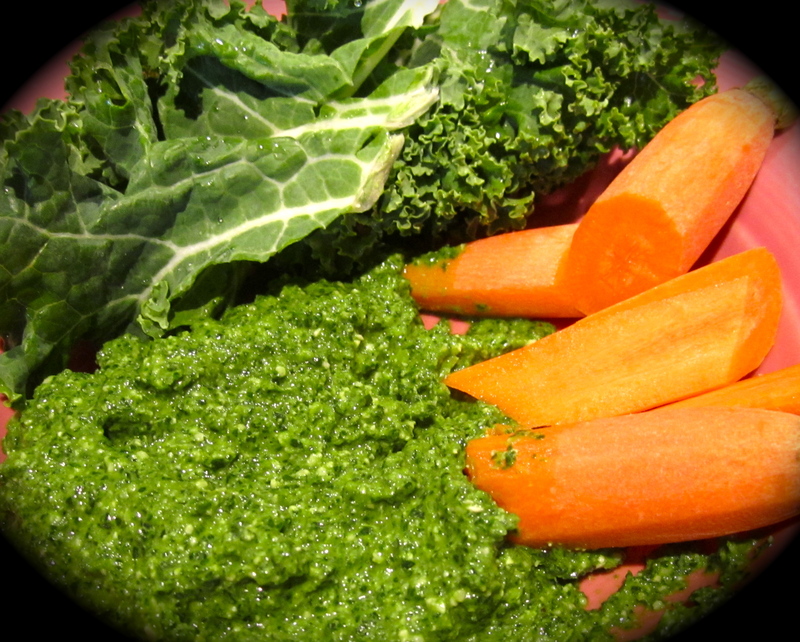 Not surprisingly the original recipe comes from raw maven Gena over at Choosing Raw. However, the version I like best was adapted by Ricki at dietdessertndogs, as I tend to agree with her philosophy on garlic and hummus (these two were meant to go together). 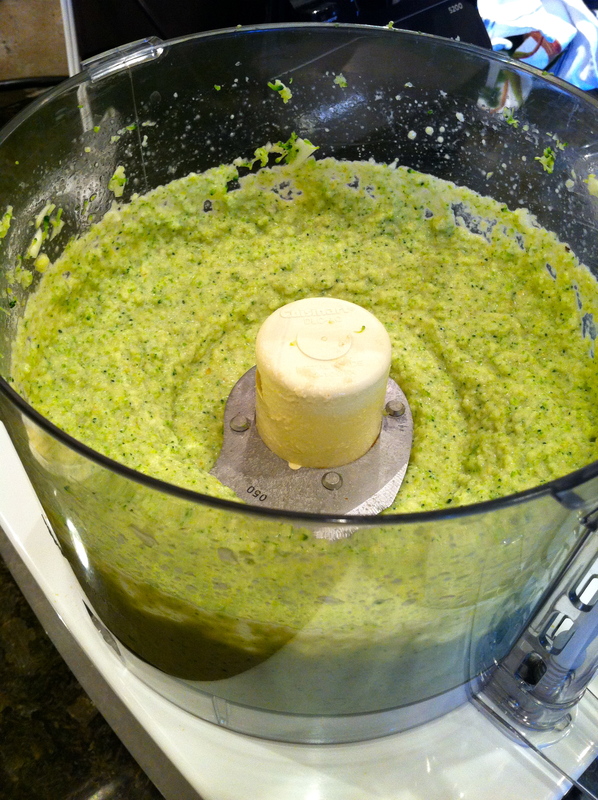 Blend the broccoli and zucchini in a food processor until finely chopped. Then add the remaining ingredients and process until smooth, scraping down the sides and adding a little water if necessary. 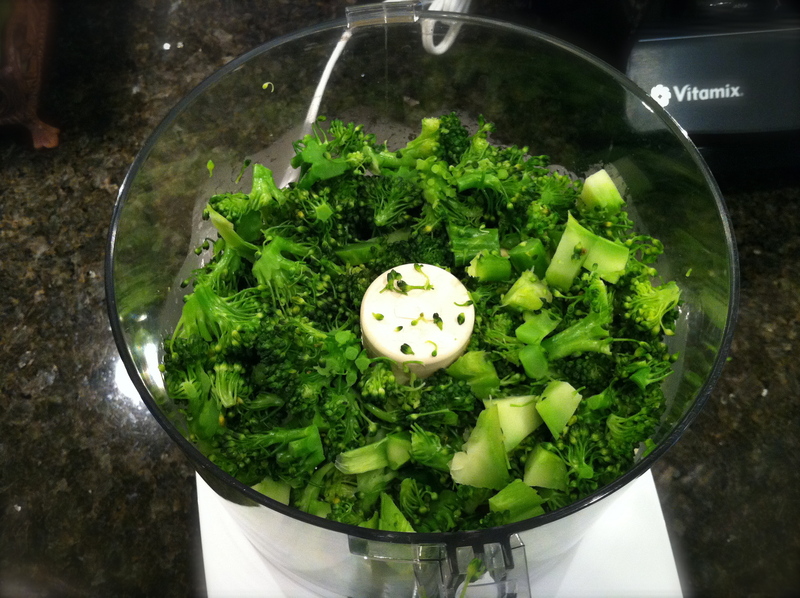 *Although this was meant to be a raw recipe, you could also try steaming the broccoli first. I prefer the flavor of steamed broccoli so I did this the first time I tried it. I’ve since tried the raw version as well, and both are good–though I imagine the raw variation probably lasts a little longer. 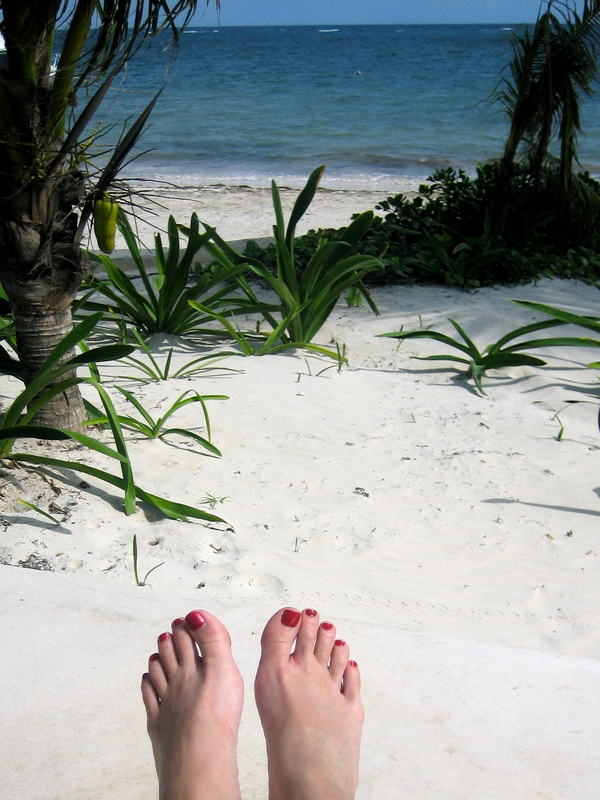 First things first–pardon my recent absence from the blogosphere. I actually have many half started entries this past month, that for some reason or other never got finished. Admittedly things have been busy, but I have many exciting recipes I’ve been meaning to share and intend to do so in the following weeks! Earlier this year I received an intriguing email offering from Gilt City in my inbox–a voucher for *customizable* energy bars through a company called Element. I had never heard of them before, but after a quick perusal of their website deemed that with the discount the voucher would be a worthy investment. 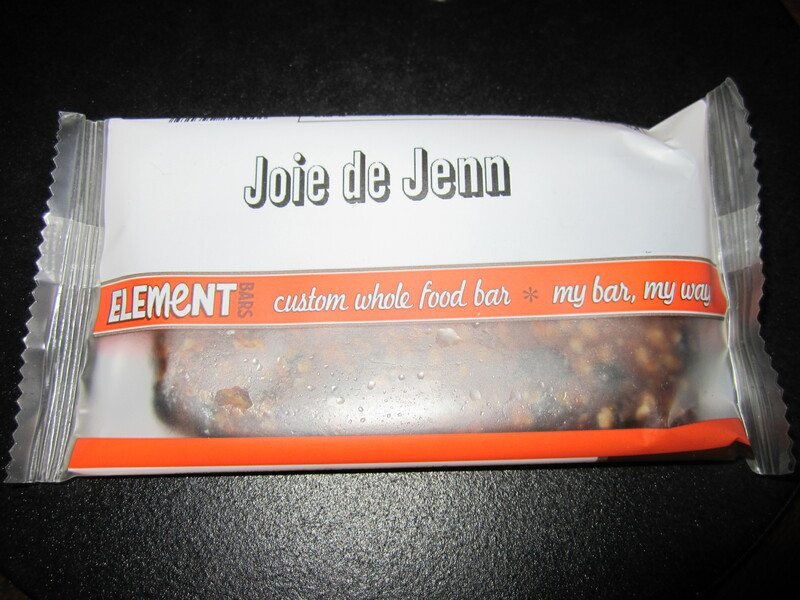 The site allows you to choose from a selection of ‘classic’ Element bars, or the more daring option–to create your own bar with the ingredients of your choosing. The website, which includes a nifty nutritional calculator, is pretty fun and user-friendly for the most part. Best of all, the innovative company allows you to personalize the packaging–effectively branding your own bars. Brill-ante! I ended up selecting a date and quinoa based bar with dried blueberries. Sadly, the bars were just okay– a little sweet for my taste. Another way to avoid this scenario, however, is to make your own! 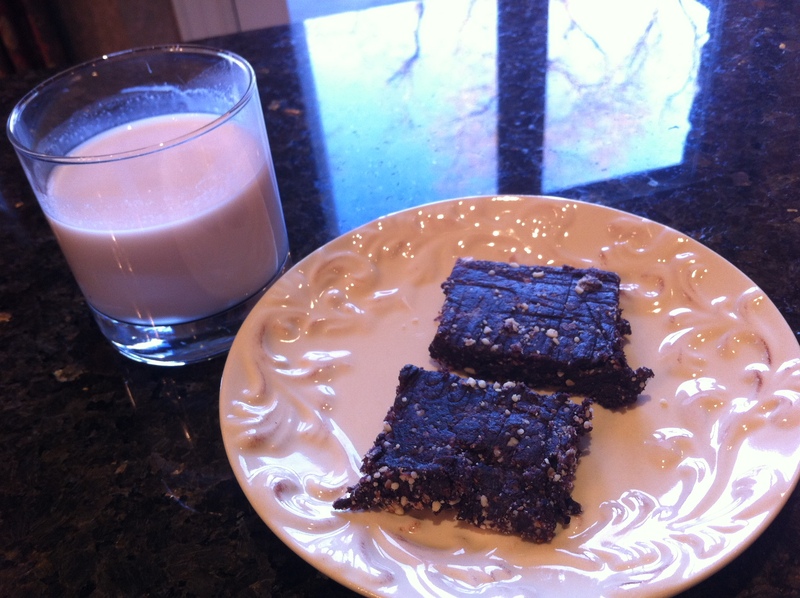 Granola bars– a great source of energy on the go–are also much simpler to make that you might expect. 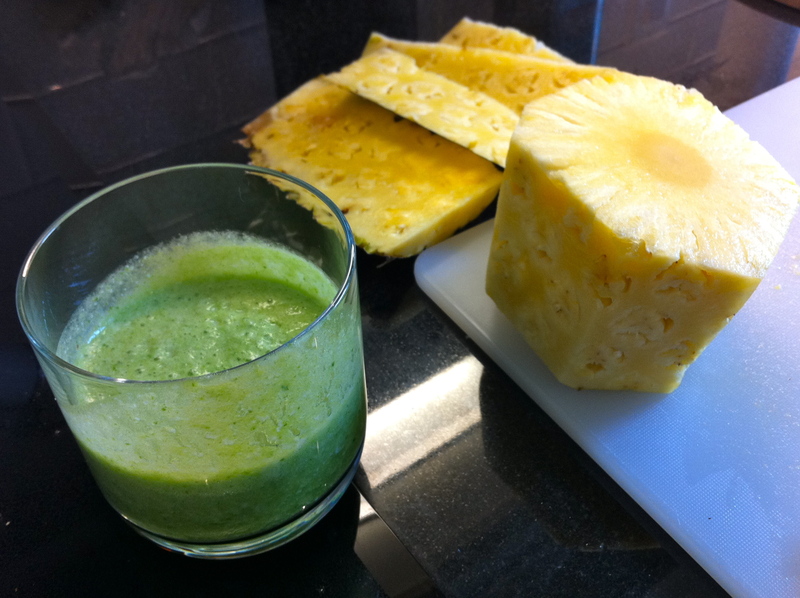 All you need is a good food processor or high-speed blender. And there are infinite number of flavor combinations you could try. 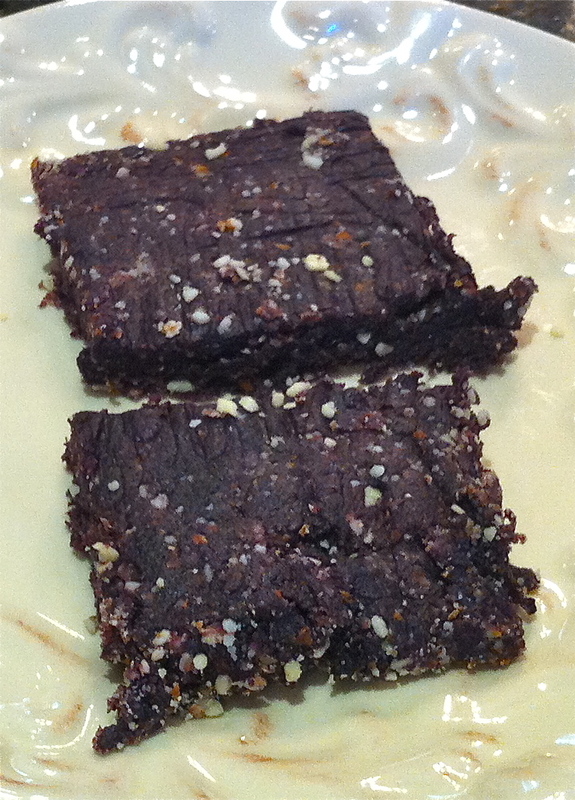 Below is a recipe for a DIY blueberry date bar. Goes nicely with a glass of hemp milk. 1. 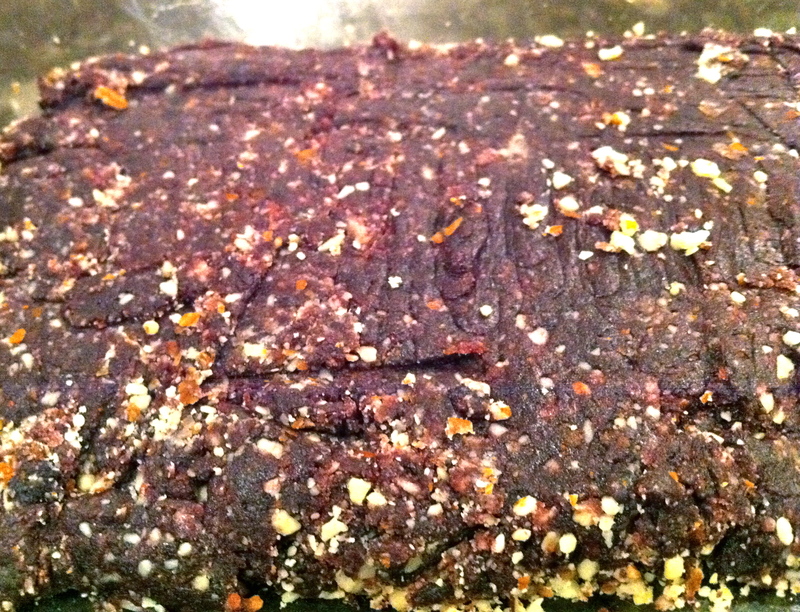 Combine dried blueberries, dates, lemon zest and almond extract in food processor and blend until it becomes a paste. Transfer to a medium bowl. 2. Next process the almonds in the food processor until finely chopped. 3. Combine chopped almonds with the date mixture, using your hands to knead together. Then roll flat into a large rectangle. 4. Cut into rectangles (makes about 6 bars). Cover with plastic wrap and store in fridge. Anyone else ever tried making their own granola bars? Regardless of how you’re feeling about Valentine’s this year, remember that the amorous holiday is a fantastic excuse to eat chocolate. 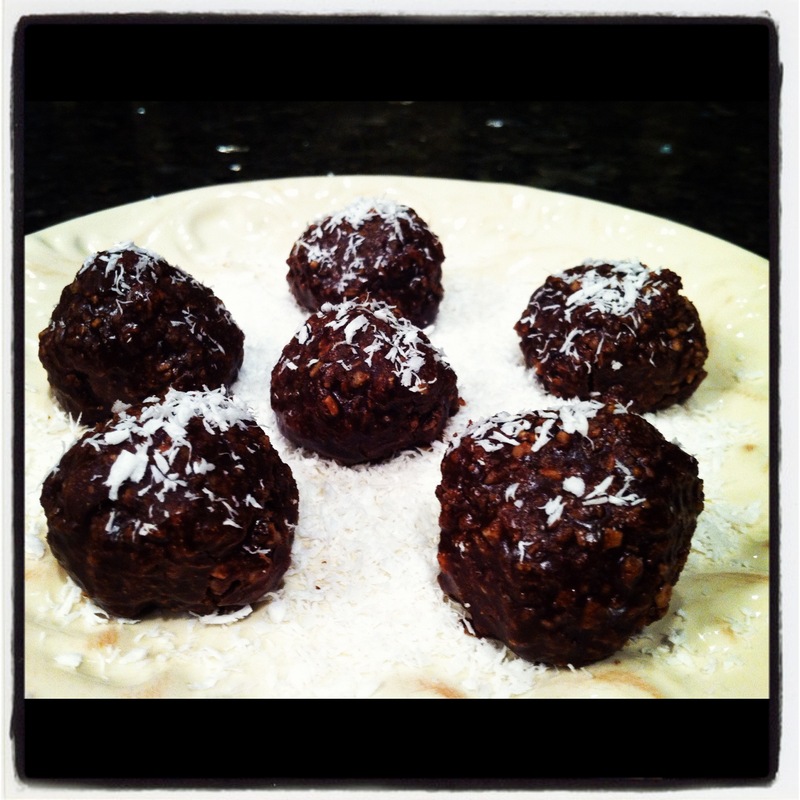 Thus, today I wanted to share a recipe for Chocolate Covered Truffles, inspired by pure2raw. 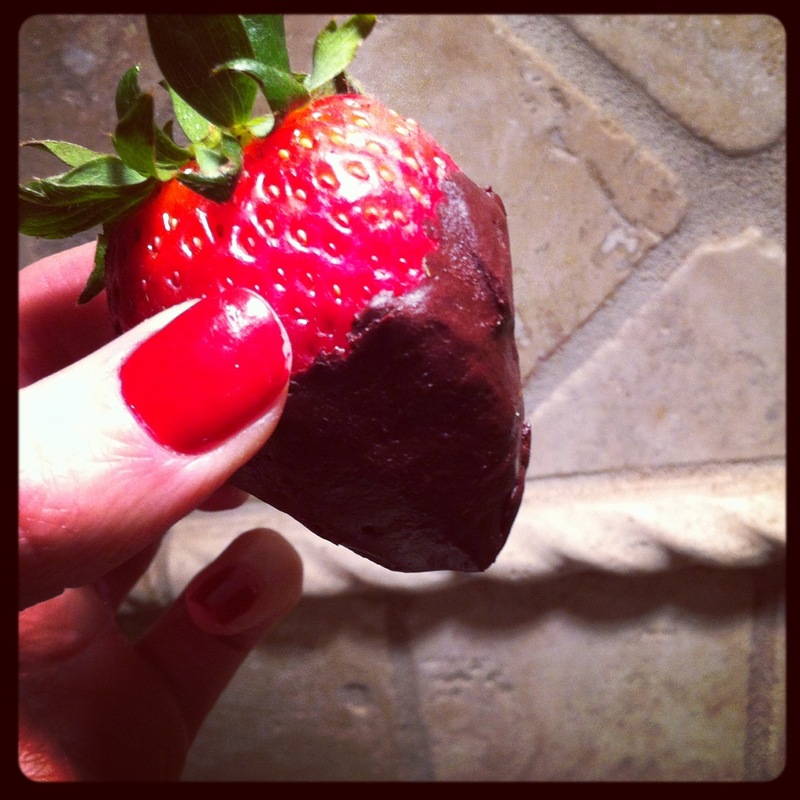 The spicy truffle recipe calls for a chocolate coating, which I thought could double as a glaze for fresh strawberries–a classic V day dessert. 1. 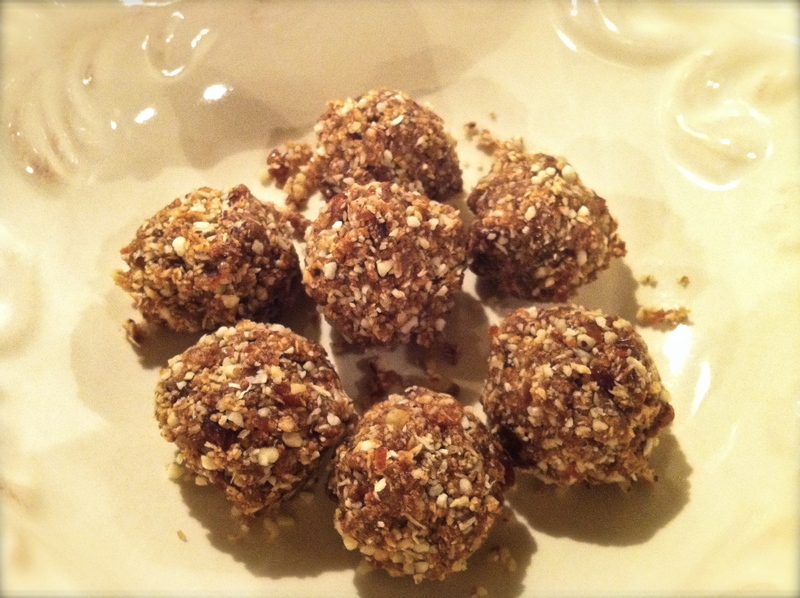 Combine hazelnuts, coconut, mesquite, and spices in food processor and pulse to combine. 2. Add in dates and syrup and pulse until it all comes together. If the batter doesn’t hold, try adding in more dates. Letting the dates soak a minute or two prior will help them to process better. 3. 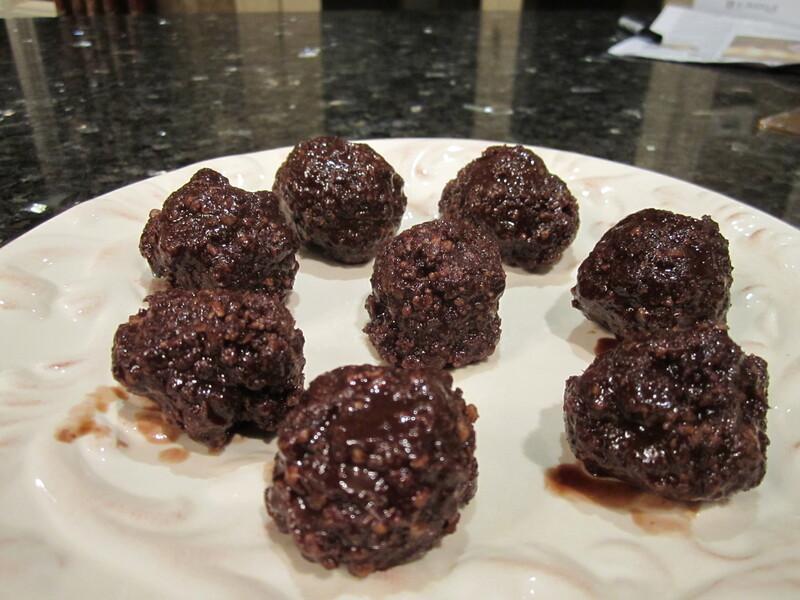 Scoop the batter into balls with your hands or a cookie scooper (makes 10-11 rounds). Now it’s time to make the chocolate coating. 1. Whisk together ingredients in a bowl until well mixed. 2. 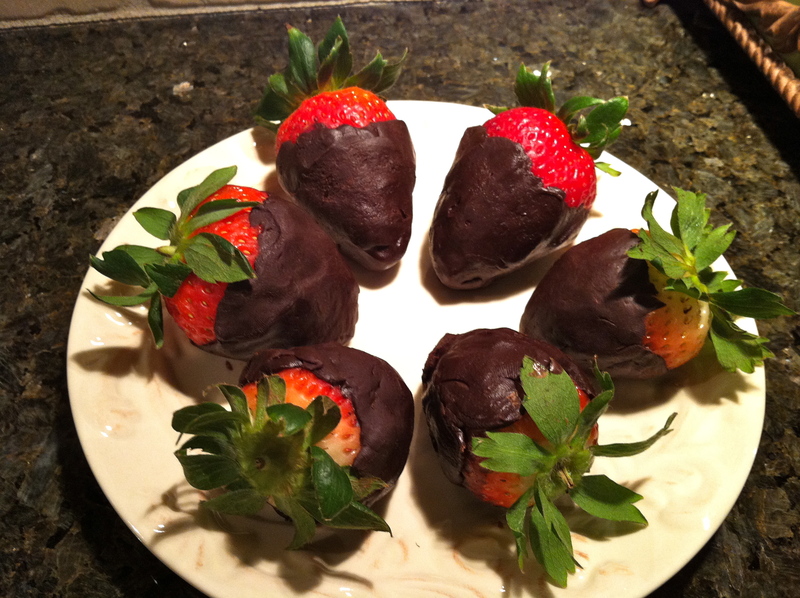 Dip your rounds into the chocolate sauce once or twice, and place onto a plate to set. 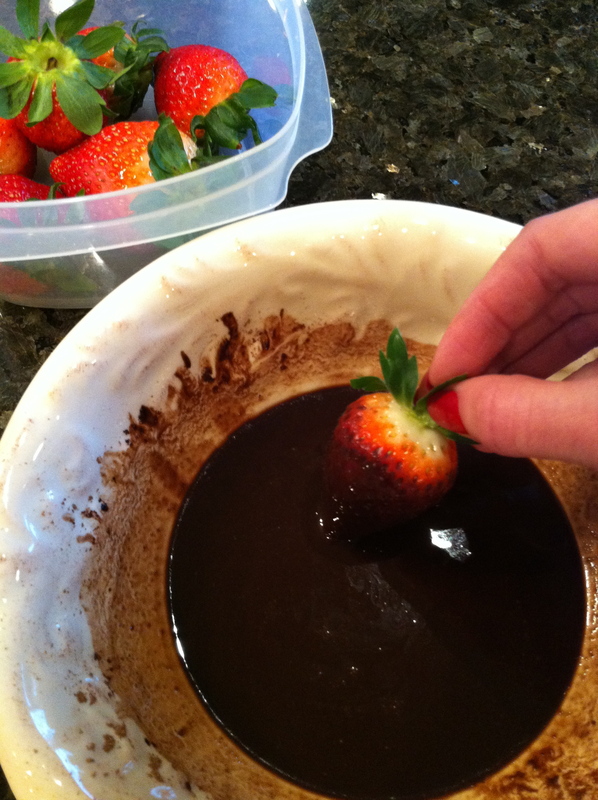 The chocolate glaze will begin to harden after a few minutes. Happy Super Bowl Sunday! Although the national holiday is notorious for greasy and calorie-laden dishes, there are healthier alternatives that do not require denunciation of all Super Bowl fare. 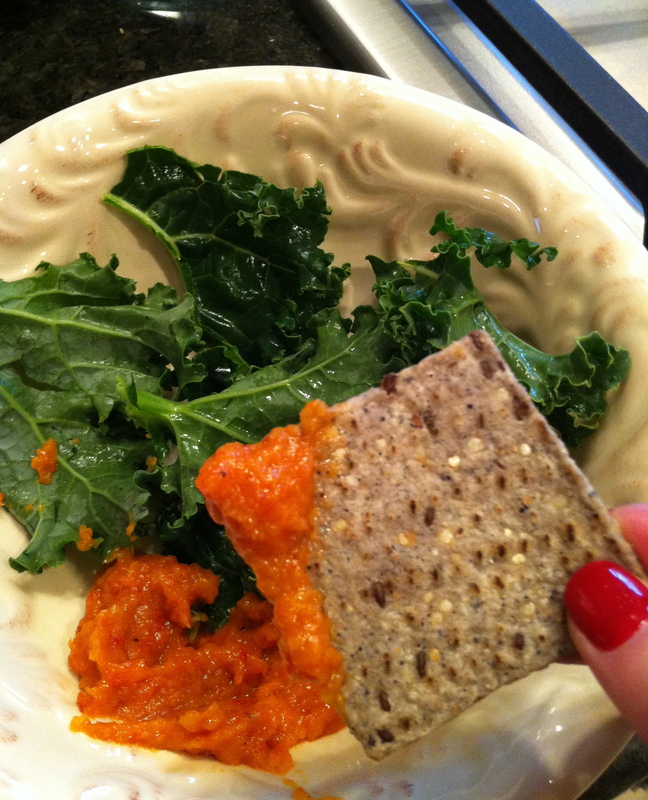 Here’s one suggestion for a veg-friendly and easy-to-make, roasted red pepper hors d’oeuvre from Kigh. 1. Preheat oven to 350F. Brush oil onto the skins of the red peppers and lay flat on a baking dish. Bake peppers for approximately two hours. (In my oven it was just under 2 hrs, so check your peppers frequently towards the end). 2. 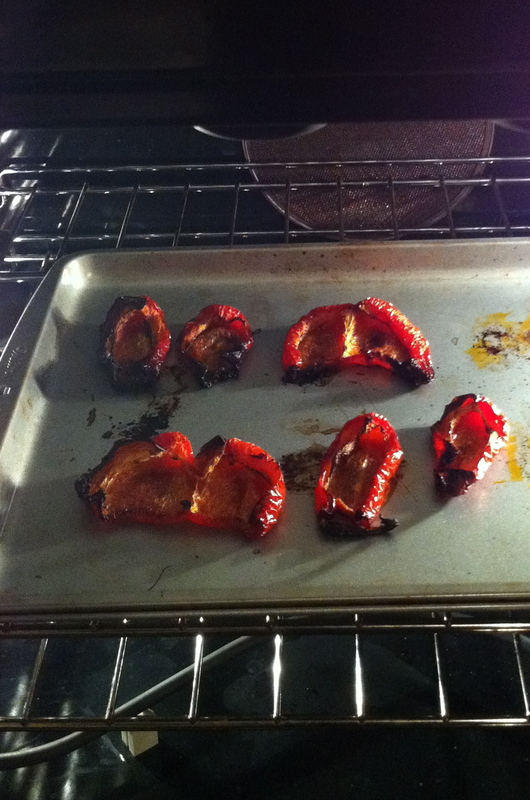 Remove the roasted peppers from oven and allow to cool. 3. Meanwhile, saute the onion in the margarine until the onion begins to turn translucent. 4. 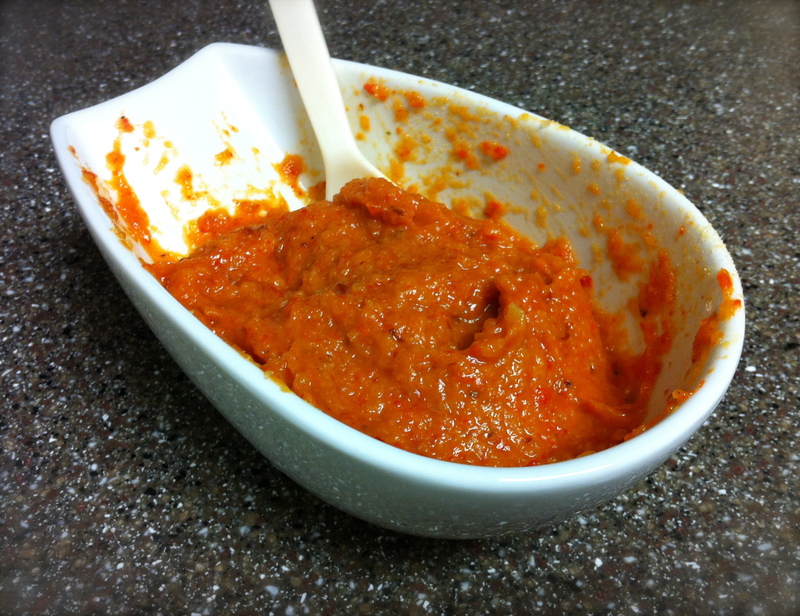 Finally, puree the peppers, onion and remaining ingredients in a food processor until you have reached the desired consistency. 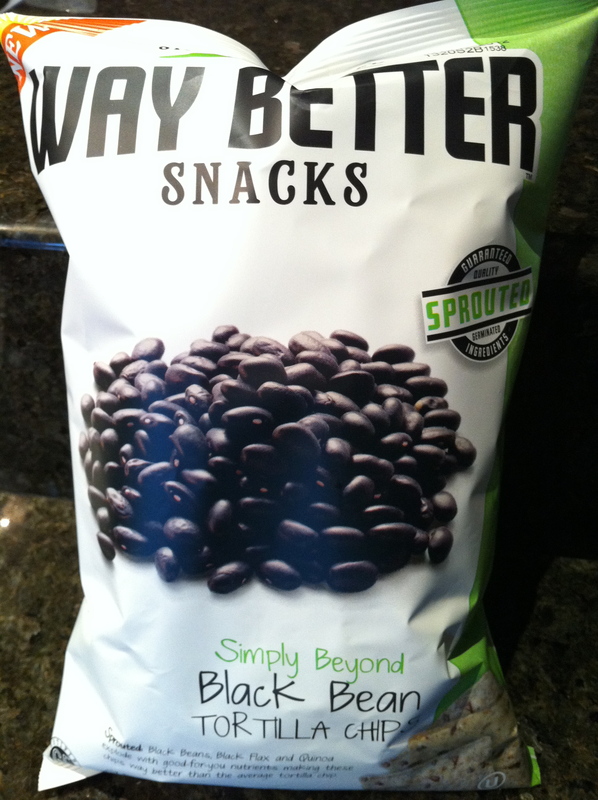 However, the chips are still corn-based, so may not be the healthiest alternative out there (some brands such as Beanitos actually have black beans as their primary ingredient). 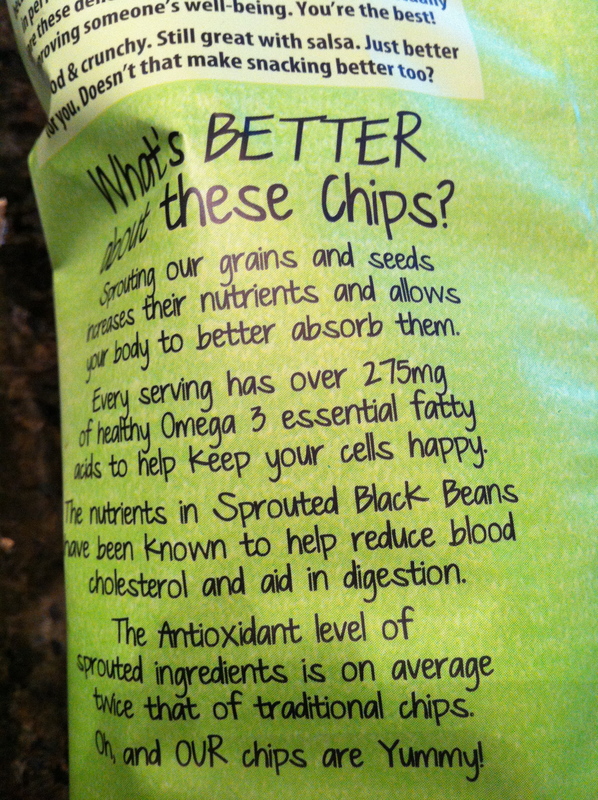 Nonetheless, they are still better than your average tortilla chip–and all things in moderation, right? Now, who will everyone be routing for today? Although not a super football fan myself, I will be supporting the Pats in honor of Tom Brady. However, I *confess* what I am most looking forward to is to seeing this lady perform in the halftime show! Blueberries are among my all-time favorite fruits–if not my favorite–so it’s fortunate that they happen to carry so many great health benefits as well. Rich in reservatrol, blueberries help combat signs of aging, protect against free radical damage, fight disease and improve overall cardiovascular function. Given my love of blueberries, after coming across this recipe I had to give it a try. 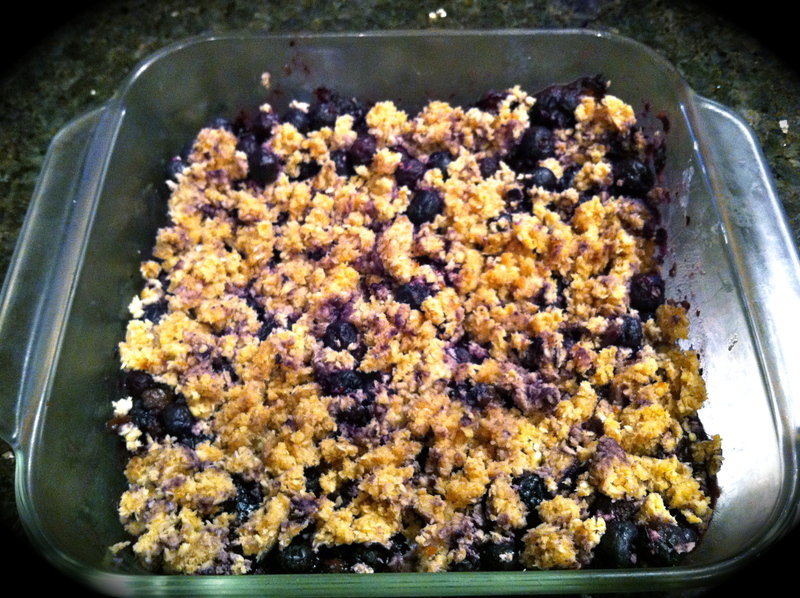 This raw blueberry cobbler is super simple to make, as well as it is super delicious (my mother will attest). 1. 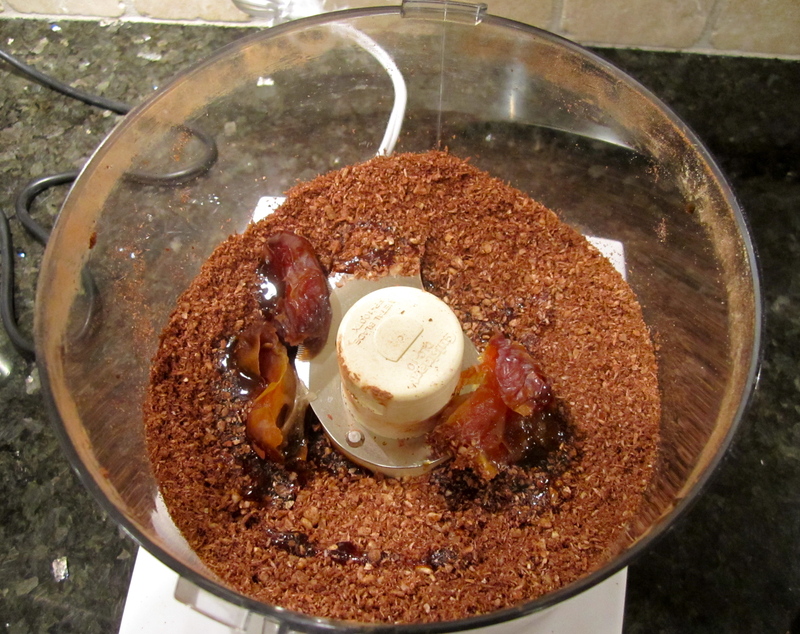 To make the crumble topping, blend all ingredients except dates in a food processor. Add dates in one at a time until you have a crumb-like consistency. 2. 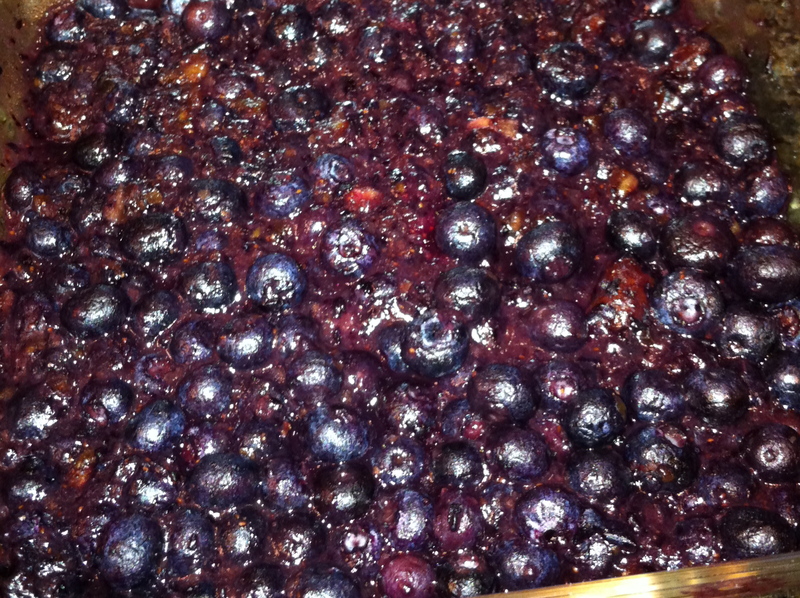 Make the filling by blending 1 cup of blueberries with dates, lemon juice and cinnamon. Then toss with the remaining 2 cups of berries. 3. 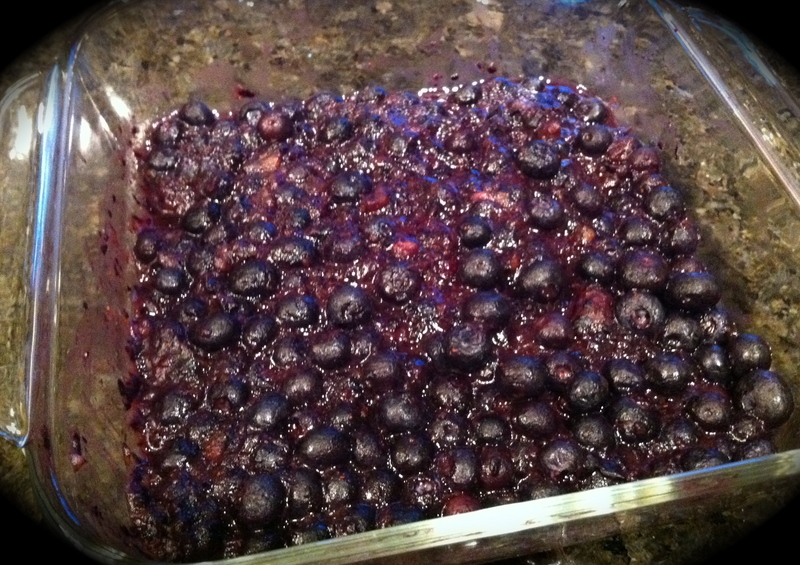 Spread the blueberry mixture in a square glass baking dish. 4. 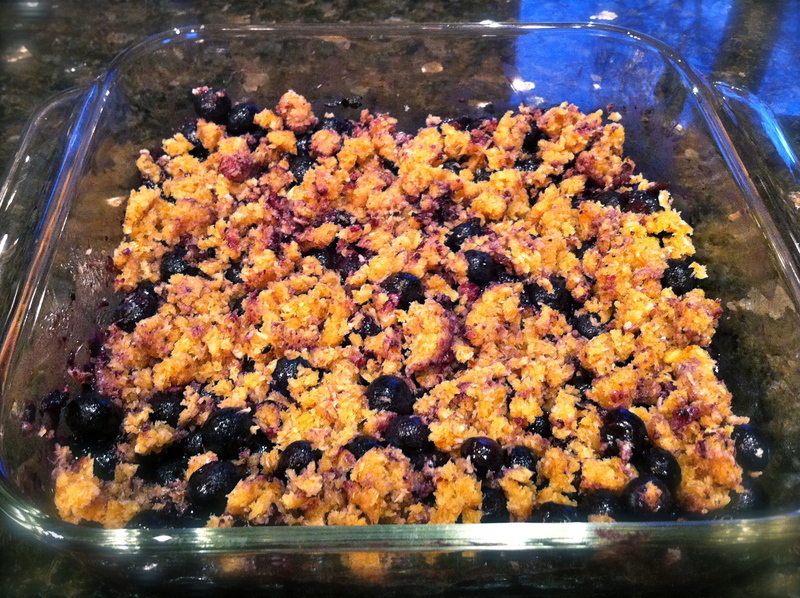 Top with crumble topping and refrigerate to set until ready to serve. Easy as well…pie! Serve for a delectable breakfast or dessert dish. As I’m always looking for good blueberry recipes, if you have any favorites I’d love to hear them in the comments! No, it would appear that the snow-gods have decided to give us a reprieve. My Midwestern home state even enjoyed a balmy 72 degree high earlier this week. I suppose it makes sense, however, given the unseasonably warm summer they had. Now I know there are those who will lament the lack of wintry mix, and there is something to be said for the seasons– but I for one am not mourning this departure. Bring on the warm weather (and winters), I say! When it comes to temperature, the more tropic the merrier. Thus today I thought I’d share with you this whimsical tropical smoothie, which I first saw promo’d at Whole Foods over the summer. Super simple, yet delicious. The most challenging aspect to the whole process is cutting the pineapple, and even that isn’t nearly as difficult as it looks. 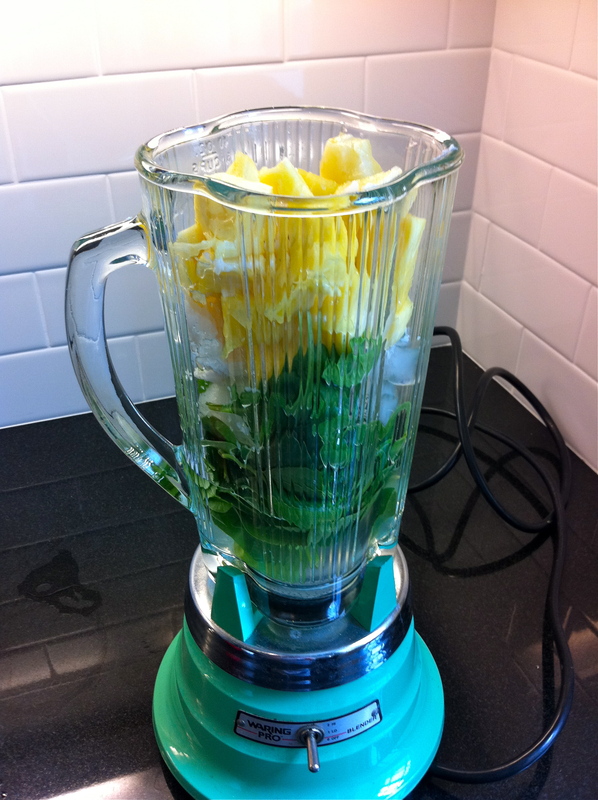 I had a lot of fun making this smoothie. 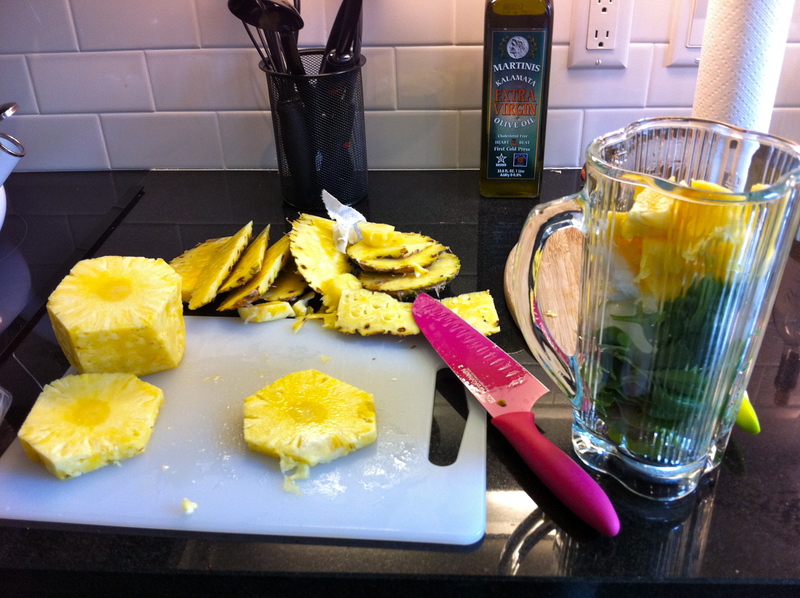 An interesting thing I learned about how to cut a pineapple (after googling it, natch) was that — after cutting the top off — you should leave it sitting upside down in your fridge for 20-30 minutes before de-skinning. This allows the sugars to equally distribute throughout the pineapple, which are otherwise naturally more concentrated at the bottom. Neat tip, eh? Because we could all use a little more green in our winters. What is your favorite tropical flavor and/or location?! I was feeling a little under the weather this weekend, and wanted a healthy snack that would help whip my immune system back into shape. 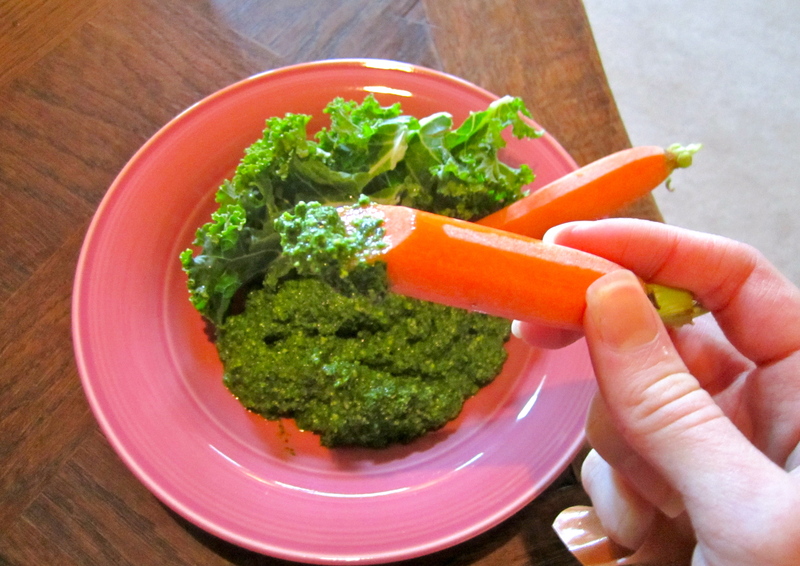 Perhaps instinctually, I had a craving for kale–and that’s when it struck me that I needed to make a garlicky lemon kale pesto! Kale possesses powerful anti-inflammatory and detox properties, counting chlorophyll and other phytonutrients among its many immune-boosting benefits. Furthermore the presence of vitamin C, vitamin A, and zinc help fight infection by increasing the body’s production of antibodies and white blood cells. Garlic also has many antiviral benefits. The natural antiseptic contains the antioxidant Allicin, which when activated works to destroy free radicals and eliminate toxins. I had tried making this recipe once before, and it came out too lemony. With a few modifications, however, this time I think I got it just right! 1. 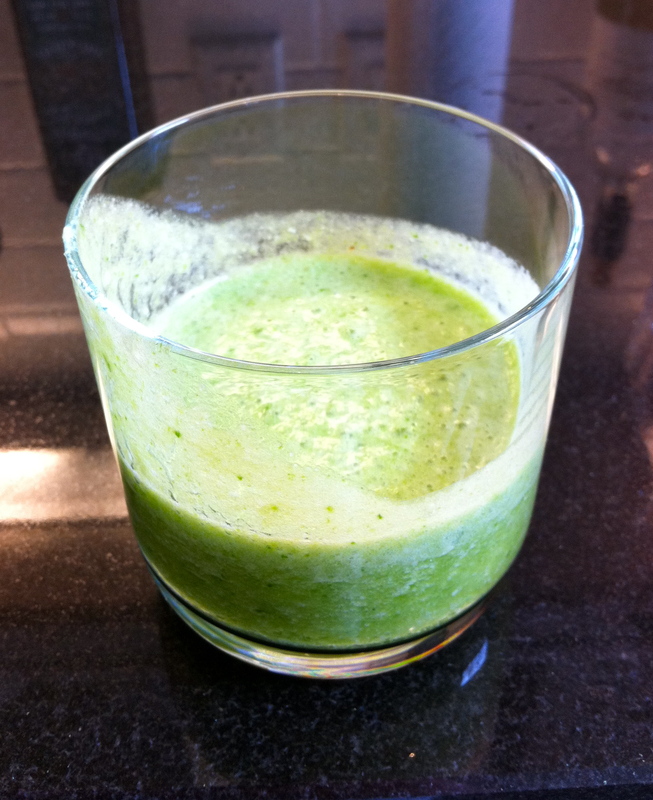 Blend all ingredients except oil in a food processor (or high-speed blender). 2. Add in olive oil and pulse to combine. 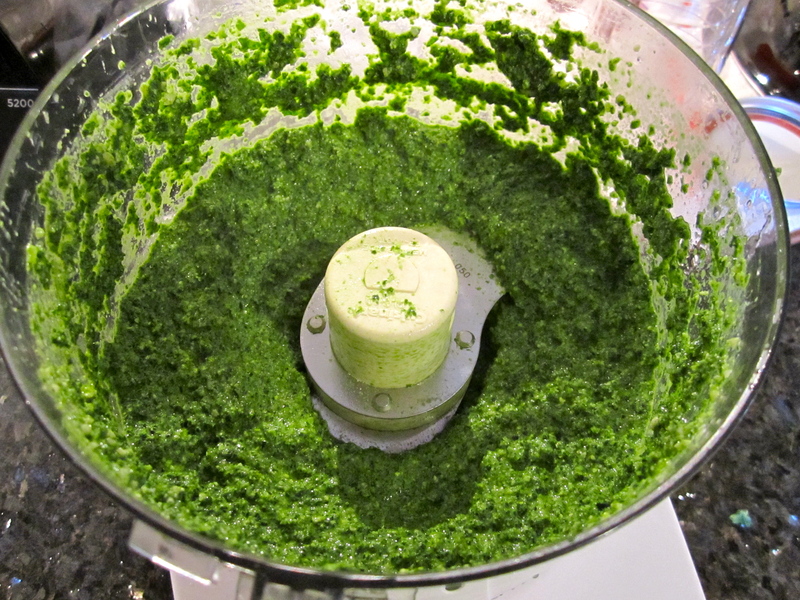 The end result was a fabulously tasty and nourishing pesto, possessing just the right amount of garlic and lemon. I think fresh basil would be a good addition as well. Yes, that is a bandaid on my pinky. Yes, I cut my finger zesting the lemon--and it was well worth it! The sauce can be enjoyed with the likes of veggies (I’m partial to carrot sticks), flax crackers, wheat pasta, or what have you. However you enjoy it, trust me that your body will thank you.